The following interview was conducted over several days with DVD Producer Charles de Lauzirika. Dugpa: How did you come to be a Twin Peaks fan? Charles de Lauzirika: I had been a fan of David Lynch’s work ever since I was 13 and saw “The Elephant Man” in theaters. It really floored me. It might have been the first time I ever cried during a movie. But it was so beautifully made, I followed David’s career after that and was always inspired by his work. So years later, when I heard he was going to do a TV show called “Twin Peaks,” I wondered, “How is he possibly going to adapt his style to television?,” not realizing, of course, that he was going to force television to adapt to him. I managed to get tickets to the first public screening of the Pilot, at the L.A. County Museum of Art on Wilshire Blvd., which I remember being a few months before it aired on ABC. It was really like being at the flashpoint of a major pop culture phenomenon. I just remember the audience responding loudly to everything. There were huge laughs over every little quirky detail, like the ceiling fan, or the dropped phone with Sarah Palmer wailing on the other end, or Jim misunderstanding Cooper in the morgue. But it was also so dark and disturbing, I think people were really blown away by how emotionally extreme the Pilot was. It really wasn’t like anything that had been seen on TV at that point. I had been writing for my college newspaper around that time, and I started becoming obsessed with “Twin Peaks,” publishing far more articles and updates on the show than many normal people would have. But being an accredited college journalist, I got invited to cover the Tree People benefit that took place at Union Station in the summer between Season One and Season Two. I got to interview a huge chunk of the cast, including Jack Nance, which was a very special opportunity for me as a fan. He was so kind and funny to me, and I used to live fairly close to him in Pasadena, so I’ll always remember that evening. I also grilled Ray Wise about possibly being Laura’s killer because the Laura Palmer Diary had recently come out and I felt it pretty much gave it away. But he wouldn’t budge. It was great getting to interview him again for the new DVD and hearing how he personally heard the news about who Laura’s killer was. It brought the whole story full circle for me. It was a pretty exciting time back then to be a “Twin Peaks” fan. I mean, people forget just how insane Peaksmania was at its height. It was probably the last time I was truly obsessed over a TV show…although the new “Battlestar Galactica” comes close. Dugpa: How did you get involved with the Twin Peaks Gold Box DVD? Charles de Lauzirika: I had been monitoring the DVD rights situation with the show over the years, as it went from studio to studio, eventually ending up at CBS DVD. I had a nice relationship with CBS having worked with them on NUMB3RS, and thanks to Trisha Gum, who convinced Ken Ross that I was the right guy for the job, I wrote a proposal that was accepted and we were off and running. Dugpa: What was your original proposal for the box set? Charles de Lauzirika: My original proposal, written back in mid-2006, was titled Twin Peaks: The Dream Collection. I figured that was a good title since this set was designed to be a dream come true for fans, but also because so much of Twin Peaks, and David Lynch’s work in general, is rooted in a dark, mysterious and beautiful dream logic. This proposal also included “Fire Walk With Me,” which is distributed here by New Line. The FWWM portion of the proposal included a new making-of documentary I was going to make called “Questions in a World of Blue” along with all of those long-sought-after deleted scenes. I had some preliminary discussions with CBS and New Line about teaming up for the perfect box set, but ultimately, it ended up being too legally complicated to make happen. But it was nice to fantasize about. As for the series portion of the proposal, it was pretty close to what we ended up with. Deleted scenes were always part of the proposal. The various featurettes were always part of it. The SNL skit, the Georgia Coffee commercials, the TV spots, and so on. The only things originally in my proposal that we ended up dropping were audio commentaries and story notes, similar to what was seen on the Season 1 release from Artisan. Basically, David didn’t want anything that interfered with the presentation of the episodes, and if you read his chapter on audio commentaries in his book, Catching the Big Fish, you know that he believes commentaries can demystify the art too much, and make the experience less special. And I agree, that in the wrong hands, you can cheapen the magic of storytelling and filmmaking, which is certainly never my intention. I also figured that we had so many other things planned for the box set, we could explore the making of the show in other more interesting ways. Dugpa: What can you tell us about the extras on the box set? Charles de Lauzirika: It’s a pretty healthy combination of all-new material and great vintage pieces. Although we had inherited quite a large selection of interviews that had been used in the Season 2 set, I felt it was important to not only conduct new interviews with some of those people, but also to branch out and interview people who hadn’t been interviewed for the last two DVD sets, or at all. Even though we didn’t get everybody we wanted, we did get most of them, along with a lot of previously-unsung crew members. As for the cast, Amy Lowe, my associate producer on this, actually made contact with Michael Ontkean in Hawaii, and began a long series of interesting conversations with him about participating, but ultimately, he politely opted out, despite initially wanting to shoot his own interview for the documentary, which would have been wild. 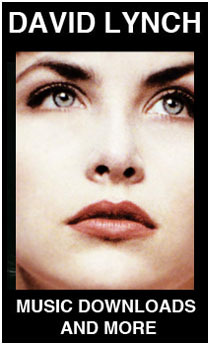 We came close to getting Lara Flynn Boyle, but there were scheduling issues. Same with Heather Graham and others. Believe me, we tried to get more than we did, but I’m more than pleased with the interviews we did get. I was especially happy that we got Joan Chen, Piper Laurie and Ray Wise, in addition to Kyle MacLachlan, Sheryl Lee and the rest. Not to mention Mark Frost, whose entire interview is just superb from beginning to end. He’s pretty much the narrative spine of the documentary. Dugpa: Why didn’t David Lynch appear in the “Secrets from Another Place” documentary? Charles de Lauzirika: It would have been great to have him as a voice to bounce off of Mark Frost, but I think David felt that his insights and stories in “A Slice of Lynch” were the best way to present his own particular point of view. Plus, it allowed me to get a little more creative in how I shot David’s interview, and that was very refreshing. Dugpa: What can you tell us about the Deleted Scenes that appear on the box set? Charles de Lauzirika: The guys you should really talk to about that are Ryan Adams and David Grant from CBS DVD, who worked directly with David Lynch in restoring the picture and sound for the series. But for my part of it, I had known there was a bootleg disc of deleted scenes, outtakes and circle takes floating around in the fan community. I acquired a copy from a fan who shall remain nameless, but someone who’s very supportive and active in the Twin Peaks fan community. Unfortunately, this material had leaked out through inappropriate means, and as it turns out, the original elements that would have been needed to fully restore these and other deleted scenes had long been destroyed. So that was a very sad revelation. I keep hoping that somewhere out there, the original elements were somehow saved and still exist, but CBS checked their vaults and inventory and it just wasn’t there. Believe me, we dearly wanted to include as many interesting deleted scenes as possible, including the alternate murder scene of Ben killing Maddy. So that left us with the bootleg disc that a few fans already had in their possession. Ryan and David at CBS thought they could clean it up a bit, which they did, and they presented all the scenes to David Lynch for approval. He then personally selected the four scenes that now appear on the DVD. I’m sure Ryan and David can give you a lot of detail about that process, in addition to all of the wonderful picture and sound restoration work they did on the series. Dugpa: What was it like working with David Lynch on this project? Charles de Lauzirika: It was pretty much everything I thought it would be. I had always gathered that he was one of those filmmakers who doesn’t want to reveal too much of what’s going on behind the curtain. And that’s something that I deeply respect, even if it makes my job more difficult. I think everyone who worked on this DVD felt like they wanted to make David happy, and make this a good experience for him. And he was extremely generous with his time and participation. Seriously, as a longtime fan of his work, it was a blast…especially shooting “A Slice of Lynch” with him. But perhaps one of the most frightening moments of my career was sitting in David’s screening room to show him rough cuts of all of the DVD extras, starting with “A Slice of Lynch.” He sat in the row directly behind me, and every second of silence felt like cold death at my back. But when the lights came up, he gave his comments with a smile, often telling us even more backstories that I wish we had a camera there for. I’m very happy he approved everything, and went so far in helping us put this disc together. There’s no way we could have done this without him. And I wouldn’t have wanted to. And I’ll always remember coming home and finding a very unexpected black box at the front doorstep to my house with David’s logo printed on it in white. Inside was a selection of his Signature coffee brands, way before it had been released to the public. That was no doubt one of the coolest gifts I’ve ever received. Dugpa: Was there ever any consideration to including the previously-released extras from Artisan’s Season 1 set, or even the CBS DVD Season 2 set? Charles de Lauzirika: Not really, no. I’m not a big fan of wasting precious disc space on materials that people have already paid for in the past. If you look at some of the other double-dipped DVD’s I’ve produced, like Alien Quadrilogy or the multi-disc sets of “Gladiator,” “Black Hawk Down” and “Kingdom of Heaven,” I rarely carry things over from previous releases unless they somehow fit nicely into the overall package. Things like trailers and TV spots are easy because they’re so short. But otherwise, I think it’s lazy. I mean, look, if you’re the kind of “Twin Peaks” fan who wants everything, then chances are, you already own Seasons 1 and 2, so why spend all of that limited disc space on material you already have? Why spend all that money for content you already own? Shelf space issues aside, I’ll never understand why certain people actually want to do that. Dugpa: What was the most challenging extra to obtain for the box set? Charles de Lauzirika: Well, every extra had its own little challenge. For instance, the Saturday Night Live skits needed to be signed off on by every single SNL cast member to appear in it. And keep in mind, that included Mike Myers who appeared as The Man From Another Place. That included the estates of Chris Farley and Phil Hartman. That included Conan O’Brien, who appeared in the background as Deputy Andy. Pretty much the entire SNL cast appeared in just that one skit. But Trisha Gum and the CBS Legal team did an amazing job tracking everyone down. And that was just for one extra feature! That same clearance process applied to everything that appears in the Gold Box. In terms of production logistics, “A Slice of Lynch” was like mounting a low budget indie film. We had a full crew, four HD cameras, make-up and wardrobe artists, extras, catering…the whole deal. We shot the whole thing in about two hours at the Bigfoot Lodge in the Los Feliz area near Griffith Park and Hollywood. We only had two hours because that was our window of opportunity to get David, Kyle, Madchen and John together all at the same time. And it was particularly intense for me because at the same time, I was working to get Joanna Cassidy on-board to shoot some additional green screen material for the Final Cut of “Blade Runner” the very next day! Fortunately, both shoots went off perfectly. Dugpa: What is the significance of the whole Gold Theme to the box set? Charles de Lauzirika: The whole gold motif came from David Lynch himself. I remember being up at his house with Ken Ross, David Grant and Ryan Adams from CBS, and David was obsessed with this thing being housed in a gold box. I remember him closing his eyes intently saying, “It’s got to be gold…” I was never really sure what gold had to do with the show, but that wasn’t the point. This was David’s way of presenting this set as the definitive treasure for “Twin Peaks” fans. Dugpa: What was the reason for leaving off the “Previously on Twin Peaks” segments and the “Next on Twin Peaks” segments from the box set? Charles de Lauzirika: For whatever reason, those segments weren’t in the studio inventory. As I mentioned earlier, all of these materials get passed from distributor to distributor over the years, things can get lost in the shuffle, unfortunately. Plus, there might have been additional licensing costs to consider even if we did have them. It’s strange, I worked on two huge projects this year that both had very complicated ownership issues…this and “Blade Runner.” It’s not like the usual project where one studio owns and archives everything outright, making things far more clean and easy. For both “Twin Peaks” and “Blade Runner,” there are multiple owners of various types of content, which can end up being a huge headache and possibly very costly when trying to clear this material for DVD. And all of it has to be cleared…there’s no quick way to cheat around that. Dugpa: What was the one thing you most wanted to include on this set but weren’t able to so? Charles de Lauzirika: Well, I still think it would have been great to include audio commentaries, but we managed to get a lot of detail and background out without them. And, of course, it would have been wonderful to include a huge gallery of fully remastered deleted scenes…but another thing to consider is the narrative quality of those deleted scenes. Every show and film has footage that doesn’t make the final cut. Not all of it is particularly interesting. So when you’re dealing with limited disc space, as you always are, you have to weigh what’s most important to telling the story behind the story. I honestly don’t have any major regrets about this set. I think it’s a good balance of everything. Charles de Lauzirika: Not to me. I know there’s been a lot of talk on the internet about a Season 3 graphic novel, but I’m not privy to any inside information on that. And David himself has mentioned in interviews that if he were to continue it, it would probably be as internet content. To be honest, I don’t care if it’s done as doodles on cocktail napkins, I’d love to see the story continue in some form. Dugpa: Was the idea of doing an isolated soundtrack with Badalamenti’s music considered as an extra? Charles de Lauzirika: I love isolated scores. Unfortunately, they have really become a rarity in DVD production, simply because of music rights issues. A lot of composers and rights holders feel like they’re giving bootleggers all the materials they need to rip off their music. As far as “Twin Peaks” goes, I knew that David and Angelo were working on a new soundtrack release, so it was nice to hear that even if we weren’t going to be able to include an isolated music track on the DVD, previously unreleased cues would be getting out there in the form of a new soundtrack. Dugpa: For the original Season 2 DVD set, some fans were surprised with some of the alterations in both sound and video. Most notably the video in Episode 14 during the Maddy death scene and the audio in Episode 28 where Cooper spots Windom Earle. Were these changes done intentionally? Charles de Lauzirika: That’s a question for Ryan and David. I had nothing to do with the picture and sound mastering. But Ryan and David worked closely with David Lynch and got his approval on everything. Dugpa: How did you approach working on the Twin Peaks set versus the upcoming Blade Runner set? Charles de Lauzirika: It was a little daunting at times. Fortunately, the production windows of both projects rarely overlapped to any serious degree. And it helps having two really tireless associate producers to support me through these projects…Amy Lowe on “Twin Peaks” and Paul Prischman on “Blade Runner.” I mean, we’ve juggled multiple big projects before, but I guess what made things especially challenging this time was that in addition to putting together the supplemental content for both titles, I was also producing the new Final Cut of “Blade Runner,” which was a massive undertaking. So if my schedule ever got overloaded, I would have Amy conduct an interview for “Twin Peaks” while I was working on “Blade Runner,” or I would have Paul handle something on “Blade Runner” while I was working on “Twin Peaks.” It turned out to be less chaotic than I had originally imagined, but it was certainly very tough and I couldn’t have done it without Amy and Paul. Otherwise, I guess the biggest difference between the two projects was that I don’t have the same kind of long history with David Lynch that I have with Ridley Scott. So for me there was that additional process of learning what parameters I could work in within David’s world versus Ridley’s world. But in both cases, the goal remains the same…present the material in the best and most interesting light you can. Obviously, there are occasionally technical challenges, or legal challenges or, creative control issues…but more and more, I’m just focusing on what’s the most interesting story. And I was very fortunate in that both “Twin Peaks” and “Blade Runner” have fascinating stories behind their creation and legacy, and both have very interesting filmmakers behind them. Dugpa: Did you feel that Lynch allowed you to achieve the vision that you were looking for on the documentaries? Charles de Lauzirika: I have to admit, I thought David was going to be far more controlling over what I was going to be able to include in the documentaries. Again, he seems like a filmmaker who doesn’t want to reveal too much about the process. So there were even some sections in the documentaries that I intentionally included thinking that he would probably kill them, but that would take the focus off other sections I wanted to survive. Well, as it turns out, he approved everything without any changes. On top of that, he wanted to make sure we included Sheryl Lee who, at that time, we hadn’t been able to schedule yet. So he made the call, and within a couple days, Amy got Sheryl in front of the camera and we added her to the documentaries. So, if anything, he not only allowed us to include everything, he even made sure we added more. Dugpa: Were you forced to cut out any footage that may have given away too much? Charles de Lauzirika: Nope, not at all. There were some stories that some people didn’t want to talk about on the record, things we were told about off-camera that would have added a little more drama and gossip to things, I guess, but they weren’t important to telling the story behind the creation of the show. Dugpa: Are there any plans on releasing the Gold Box set on HD-DVD or Blu-Ray? Charles de Lauzirika: I haven’t heard anything specific, but I know from Ryan and David that an HD release has been under discussion. I have no idea about when or how. But I look forward to it happening someday because we shot “A Slice of Lynch” in HD and it looks beautiful in hi-def. And, of course, it would be amazing to see the whole series all over again in HD. Dugpa: What was your experience at the Twin Peaks Festival like? Charles de Lauzirika: Well, to be honest, I didn’t know what to expect. I mean, I’ve been going to big fan events like Comic-Con for years, I’ve gone to a couple Lebowski Fests, and I’ve been to some much smaller fan gatherings as well, which can end up being a little scary…especially if “Star Wars” is involved. I figured Twin Peaks Festival would land somewhere in the middle, but I wasn’t exactly sure where! Dugpa: Being a Twin Peaks fan from the start, what was your reaction to the final Episode of 29 when you first saw it? Charles de Lauzirika: I had really mixed feelings about it. I mean, I felt the show was finally back in the right groove and that last episode was truly mindblowing. And as much as I hated seeing Cooper go to the darkside, I also loved it because it was exactly the kind of narrative twist that could reinvigorate the show. But of course, I think by this time, we all knew it was canceled. I think I was hoping that this heavy of a cliffhanger would force ABC to continue the series, or at least wrap it up with a TV movie finale. But “Crime Story” tried the same tactic over on NBC a few years earlier, and it didn’t work at all. So it was bittersweet…great to see the show end on such a powerful note, but so sad to see it end. Dugpa: What are your thoughts on Fire Walk With Me? Charles de Lauzirika: I have to admit I have mixed feelings about that as well. Because I was interning in script development at the time, I was able to get a copy of the script before it even began to shoot. And I was very bad but I couldn’t resist…I tore through the whole script, reading it as fast as I could. And I had the same feeling after reading the script that I had after seeing the movie. I was obviously very happy to see more “Twin Peaks” being made, but between the series itself and the Laura Palmer diary, I felt as though I had already seen the big events leading up to Laura’s murder in my own imagination. I felt like this was such a rare opportunity to return to “Twin Peaks” that, as a viewer, I wanted to see what happened after the final episode, not what already came before. But on the flip side, the film itself is such a powerful, dizzying experience…it was amazing to see “Twin Peaks” unleashed like that, with no boundaries and no rules. It was pure Lynch. And both Ray Wise and Sheryl Lee gave such tremendous, heartbreaking performances. I just remember walking out of the theater in a total daze, which is usually a good thing. Dugpa: I’ve been following your work ever since the Alien Quadrilogy DVD set. Do you have any plans to direct feature length films of your own? Charles de Lauzirika: I’m working on a couple of projects right now. The first is a really dark, psychological street story that I’m hoping to direct in the spring of next year. It’s about a guy living in a very disturbing fantasy world who meets this one-of-a-kind girl that turns that world upside down…and then it just gets more twisted from there. It will be a pretty lean and mean low budget indie. A good first feature to get my feet wet. In that regard, “INLAND EMPIRE” is a great inspirational example of how you can do so much with so little. And then there’s another project I’m extremely excited about that will hopefully get going sometime soon after that. It’s based on an existing property, so I can’t talk about it yet, but it’s a very important story to me on a personal level. And aside from that, I’m keeping the DVD company going so that we can all pay the rent in the meantime. Dugpa: Since CBS DVD owns the rights to the Spelling library including the Lynch/Frost TV Series “On the Air” and the Lynch Series “Hotel Room”, do you know if there are any plans for an eventual DVD release? Charles de Lauzirika: Haven’t heard a thing. It’s a great idea though. Dugpa: On behalf of the fans of Twin Peaks worldwide, your work is greatly appreciated for finally doing justice to Twin Peaks the TV Series. Based on your work for this title, I can’t think of anyone more qualified to take on doing a Twin Peaks: Fire Walk With Me DVD. My question for you, or rather a challenge for you is would you be willing to champion a new Twin Peaks: Fire Walk With Me Special Edition DVD and complete the work you started with the Twin Peaks Gold Box? Charles de Lauzirika: Well, I would love to work on a “Fire Walk With Me” Special Edition. As I mentioned earlier, I had it all planned to be apart of a complete “Twin Peaks” box set. But even if I’m not involved, I just hope those deleted scenes are finally released. I know of at least a couple people on various message boards who won’t find true happiness in life unless those damn things come out. But thank you for the kind words. After all this time, it really means a lot to me and I’m glad the early word on the Gold Box has been so positive. Actually, I’m very relieved, because some of those message board comments were so hostile early on, before anyone really knew what we were up to, I sometimes wondered if it was all worth it. But it was. It was so very worth it. It’s rare that any DVD producer gets to work on the discs for two groundbreaking classics like “Twin Peaks” and “Blade Runner” in their entire career, and it’s just surreal to me that I got to work on them both at the same time, and to have them both turn out so well. I know it sounds cornball to say, but it really has been a dream come true. Special thanks to Charles de Lauzirika, Ken Ross, Trisha Gum, Amy Lowe, Ryan Adams, David Grant, Renard Garr, and everyone else at CBS DVD for a great job on the Twin Peaks Gold Box set. Photo of Charles de Lauzirika and David Lynch by Renard Garr. Photo of Charles de Lauzirika interviewing Sheryl Lee (1990) by Jim Bartoo. Photo of Kyle MacLachlan, David Lynch, and Madchen Amick by Renard Garr. Sparkwood and 21 T-Shirt designed by Charles de Lauzirika. Photo by Renard Garr. Signed Photo of Jack Nance taken from the personal collection of Charles de Lauzirika. Photo of Ryan Adams, David Lynch, David Grant, and Ken Ross by Renard Garr.